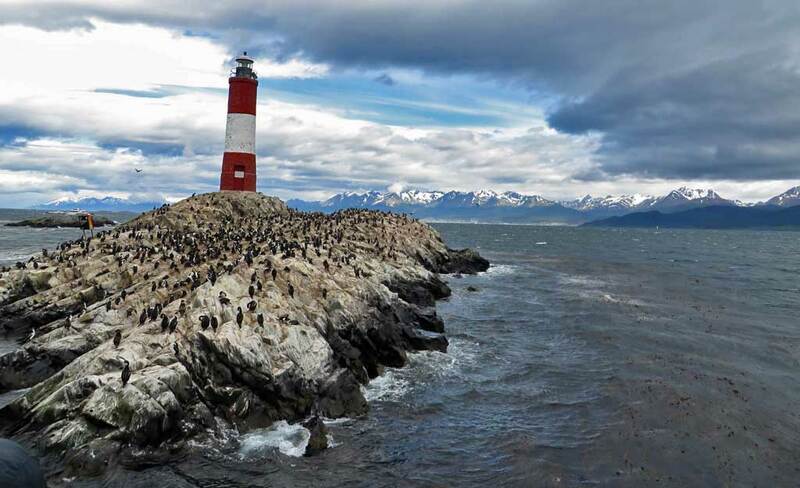 Tierra del Fuego National Park begins about 10 minutes west of Ushuaia. Access is by local bus with regular service throughout the day. Return fares in 2014 were approximately $15 – $20 US. 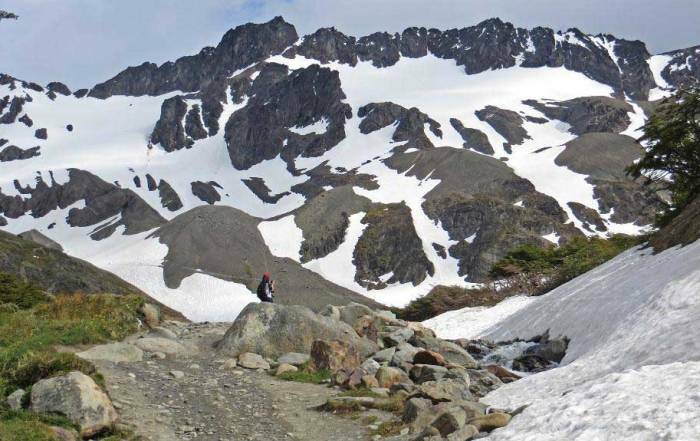 Tierra del Fuego has excellent hiking. There are trails through the woods, along the Beagle Channel and beside Lake Roca. Check a local map and then plan a one way hike with your return bus fare. 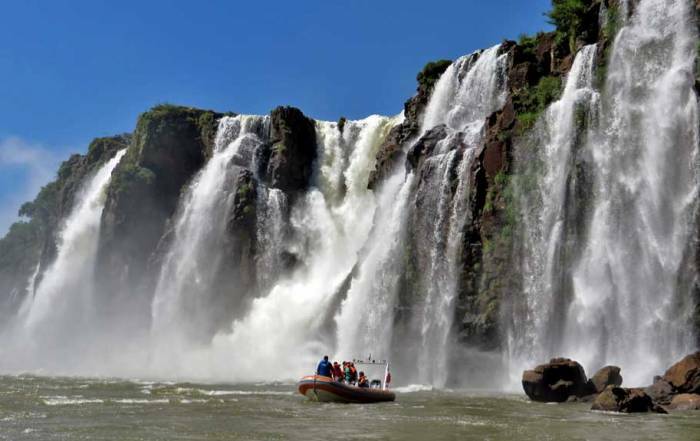 This is also an excellent area for kayaking and canoeing. El Tren del Fin del Mundo (the End of the World Train) provides a three-hour round trip to Tierra del Fuego National Park gate. 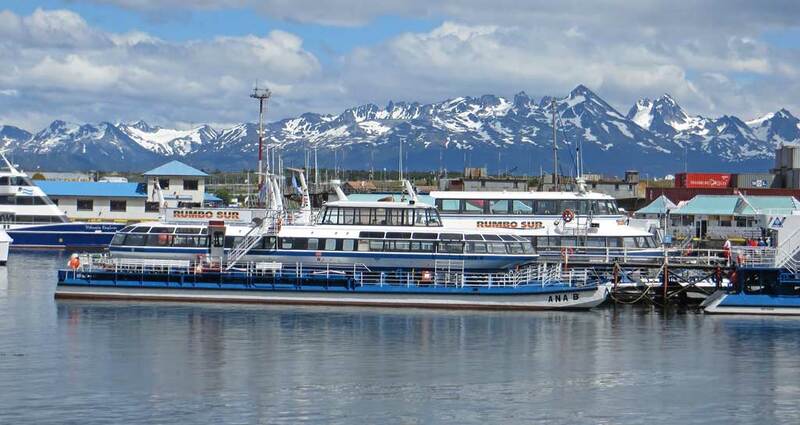 The station is located 5 miles west of Ushuaia and is accessed by cab or booking a local tour. 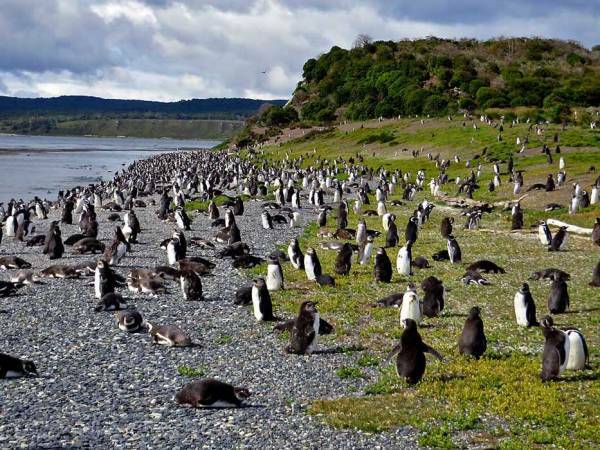 Take Viator’s Tierra del Fuego National Park Half-Day Tour with Optional End of the World Train Ride. 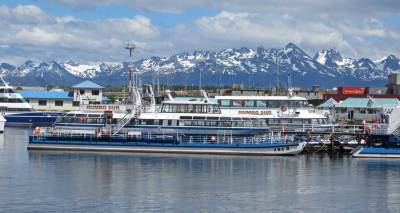 Take a Beagle Channel Cruise from one of the many tour companies at the harbor. 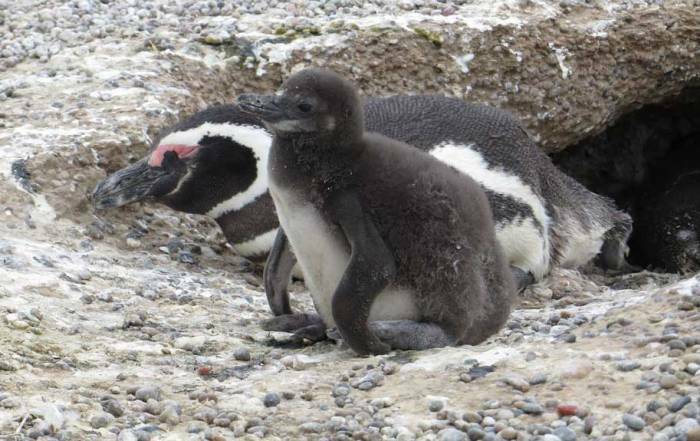 Walk with Penguins at Martillo Island. Sorry, this tour isn’t available to cruise ship shore excursions due to time constraints. Make your own independent Martial Glacier Shore Excursion to the base of the Martial Glacier. Full Day Visit to Lake Fagnano and Lake Escondido. 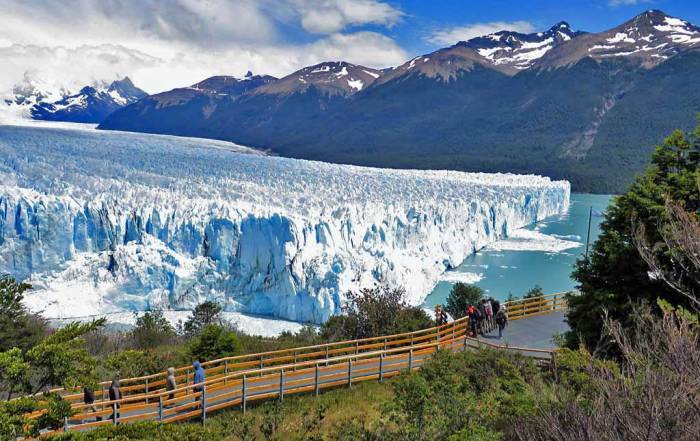 Cruise Through the Glaciers from Ushuaia to Punta Arenas. 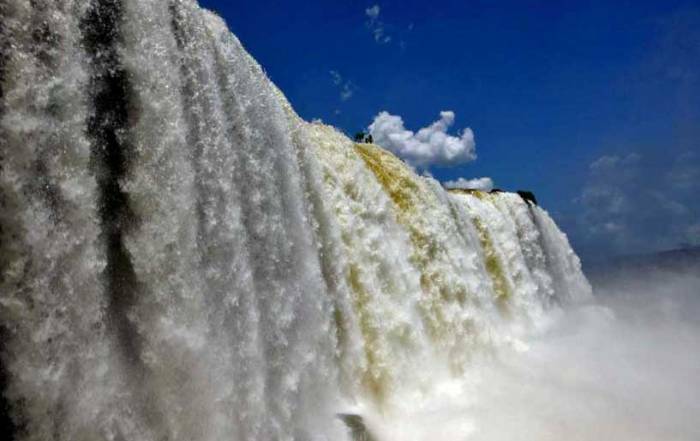 This cruise can include Cape Horn (Cabo de Hornos) National Park, the southern most point in South America. Along the way to the Cape, visit Wulaia Bay where Charles Darwin landed on the HMS Beagle in 1833. Disembark for Antarctica. 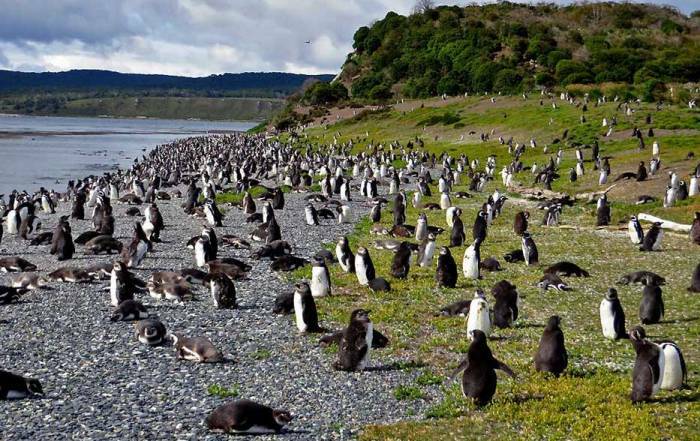 Try Viator’s Antarctica Cruise. Maritime Museum of Ushuaia – complex includes the Presidio, the Old Prison Museum, the Antarctic Museum and the Art Gallery too. 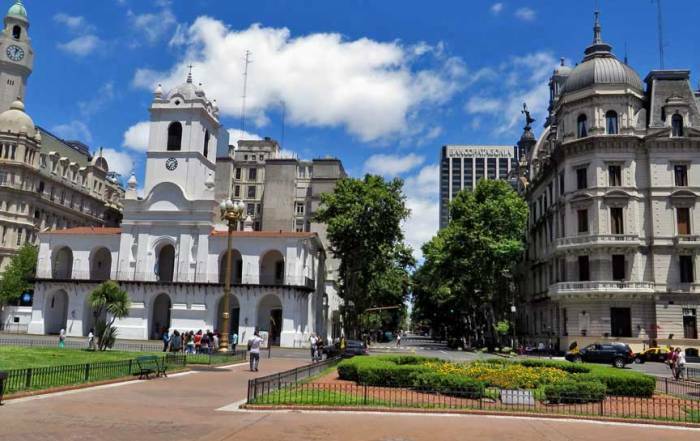 Yamana (Yaghan) Museum – dedicated to the native inhabitants of the region and located at 56 Rivadavia Street. La Aventura del Beagle at Centro Beagle – enjoy a performance on a replica of the HMS Beagle. 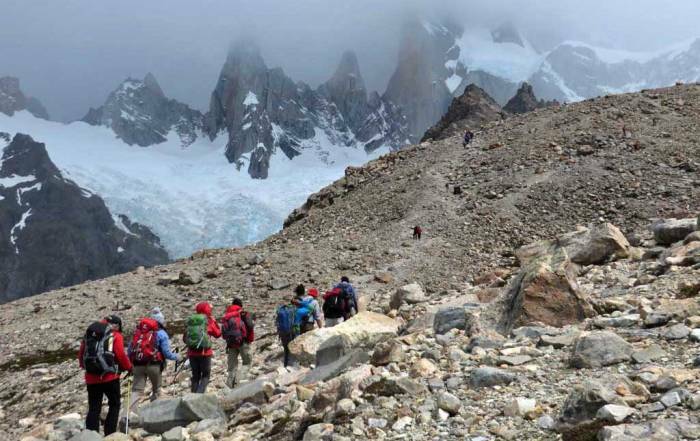 In winter (July), head to Cerro Castor for international quality skiing just a half hour from Ushuaia. Visitors get to Ushuaia by Malvinas Argentinas International Airport, which is a 10 minute cab ride from downtown. 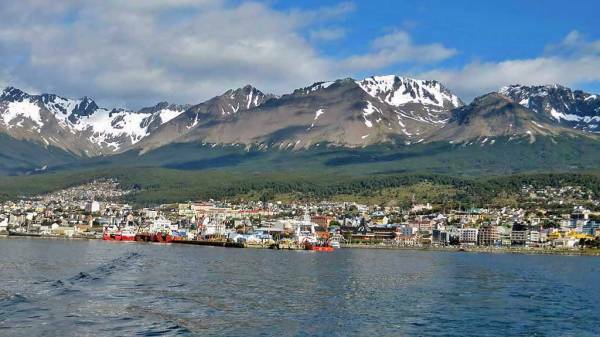 Ushuaia is a small town without a city transit system. A local bus line provides regular service throughout the day to Tierra del Fuego National Park. Locally booked tours will also include transportation from downtown. 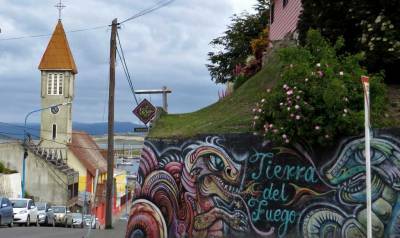 A major bus line provides regular service to Punta Arenas, but it’s a 10 hour bus ride. The cold ocean waters result in temperatures that seldom exceed 10 C (50 F) in the summer months (January), so expect to be cold. During the winter months temperatures hover just above freezing. The name Tierra del Fuego (Land of Fire) was coined by early explorers. They saw a coast line ringed with fire created by native inhabitants who were cooking and trying to keep warm. Be prepared for cool, cloudy, windy weather no matter when you visit. Ushuaia is known as the City at the End of the World, because it’s located at the southern tip of South America. The city has a population of about 60,000 people. Its economy was based on a prison in the early 1900s. The tourist railway train was originally built into the forests of Tierra del Fuego to supply lumber and firewood for the prison. Today the economy depends on tourism and on the assembly of electronic parts shipped through the Beagle Channel.